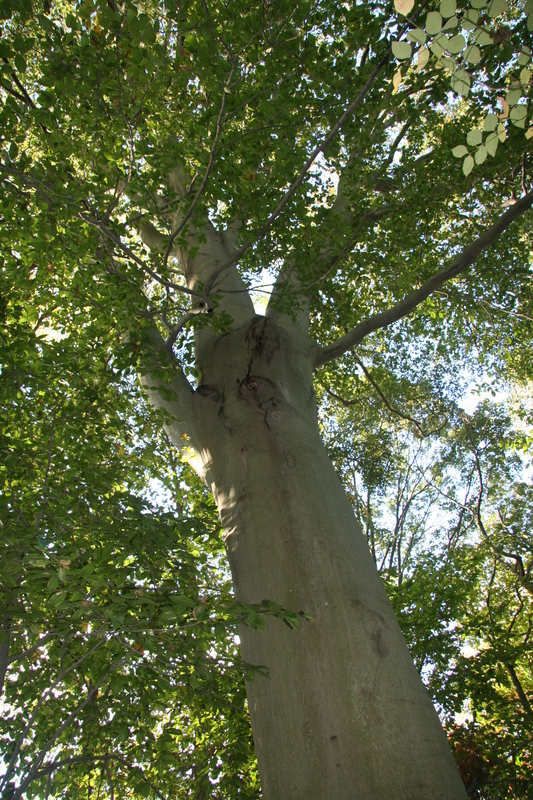 More common in northern Delaware, beech is easily identified by its smooth, gray bark. 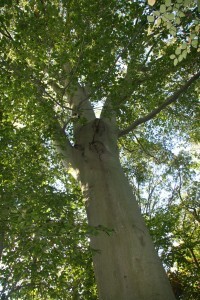 Beech grows on a variety of soil types and its thick canopy can form a dense shade. Its nuts are a favorite of wildlife species, but its wood is not valuable and is used for pallets and railroad ties. Its long life, beautiful shape, and great size make it an excellent specimen tree for planting in large spaces. American beech leaves have prominent parallel veins and usually turn a copper color in the fall. The leaves can persist well into winter.